Take a walk in Monet's garden with a flower-inspired 12"x13" shoulder bag. 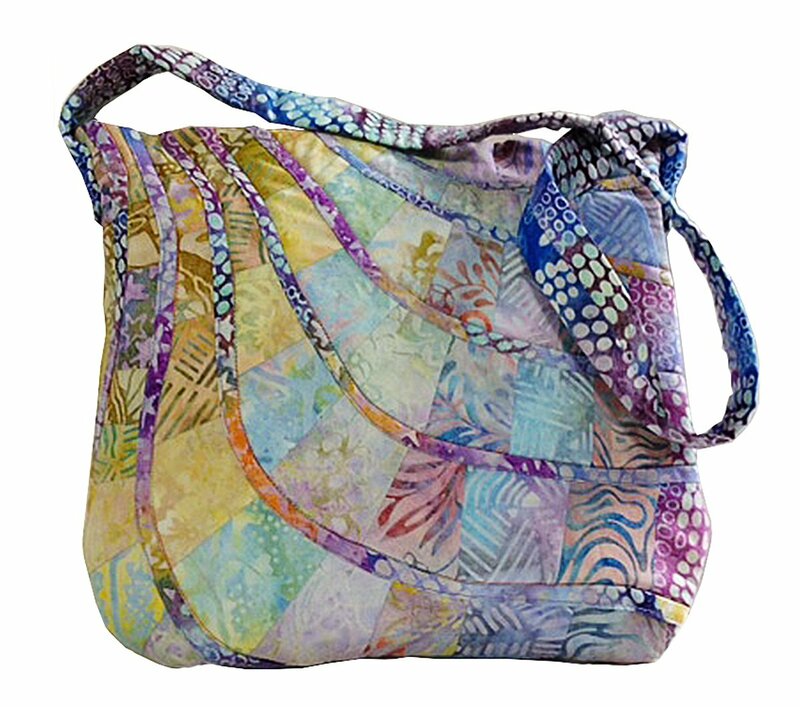 Splashes of dreamy batik colors swirl around the front and back of this zipper-top purse. Suitable for 2 1/2" x 44" fabric strip sets. Inside there's a pretty lining and roomy pocket.